President Trump Revoked Golden State’s Stephen Curry’s Invitation to the White House Saturday morning. 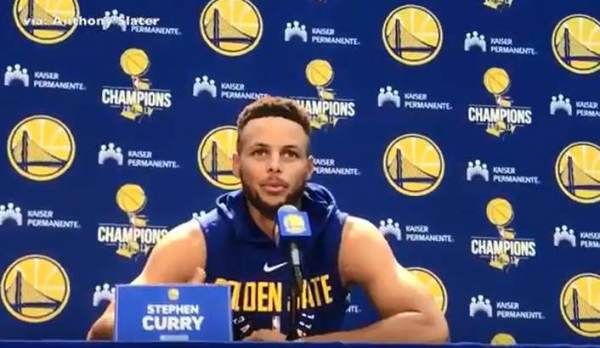 Stephen Curry expressed his concerns about going to the White House since winning the NBA Championship, so Trump blasted him and withdrew the basketball player’s invitation. 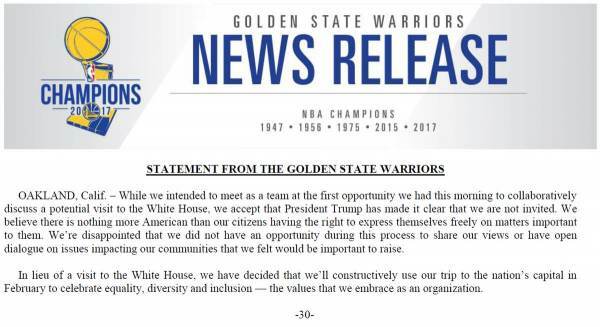 The Golden State Warriors released a statement Saturday afternoon rejecting the White House invite. Athletes are paid to play a sport and entertain fans. 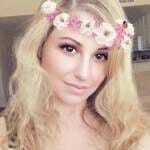 If they want to bash President Trump, spout off their political views and kneel during the National Anthem, their fans have a right to boycott. Americans are fed up with these overpaid ingrates disrespecting the American flag and spitting in the face of the brave Veterans who fought and bled for the freedoms of this great country. The more these athletes disrespect our flag, the more we will boycott them. Good riddance.